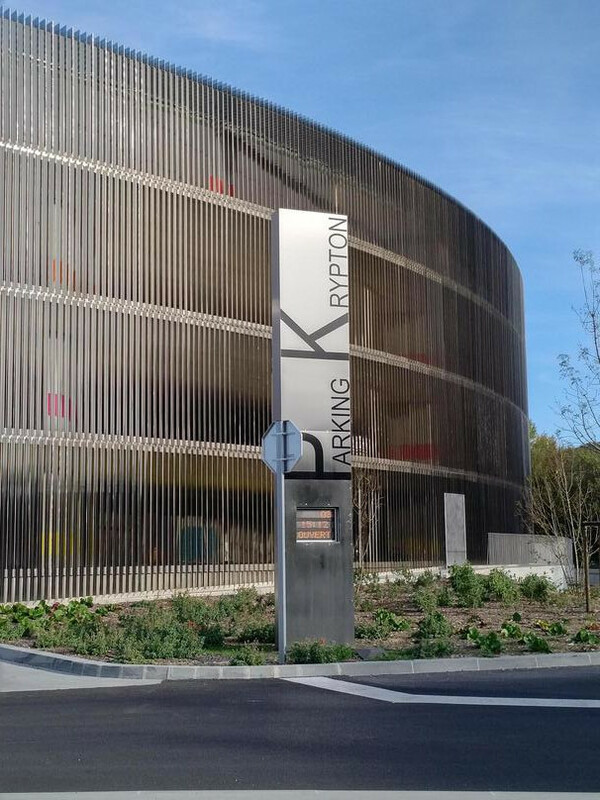 The new car park Krypton is the largest park-and-ride in the metropolis Aix Marseille Provence. 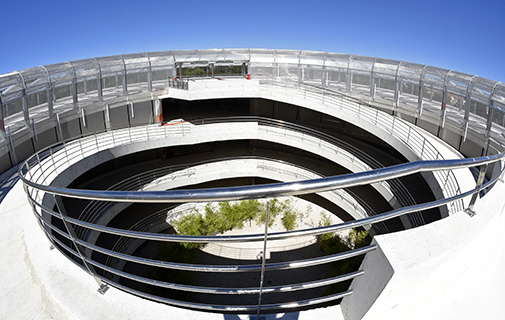 With a capacity for 900 places and a bus station with 12 platforms, it allows to relieve congestion to the city center of Aix-en-Provence and improve the traffic conditions.Its construction was ordered to the company GW Inox, historic customer of the Marseille agency (Rognac), recognized for its professionalism, excellence in the design and execution of any project. 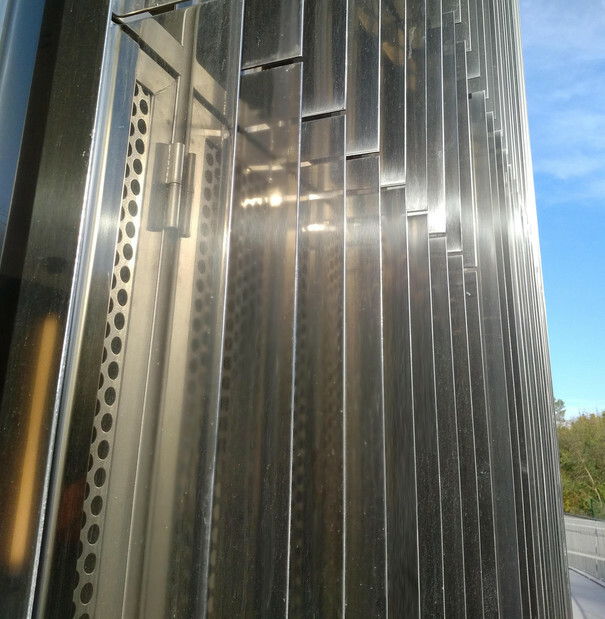 Its experience and know-how associated with the capacity of our Barcelona service center has allowed Krypton to emerge.During the whole year more than 200 tonnes of stainless steel have been delivered, mainly sheets to measure in 316L polished 4 mm thick on both sides (222 mm x 3400 mm, among other dimensions).In addition to the aesthetic appearance, this polish brilliant finishing ensures resistance durable to the corrosion, to the atmospheric pollution and facilitates considerably the maintenance of a building of these characteristics.The result is a giant of stainless, elegant and magnificent, revealing changing colors by the sunlight. 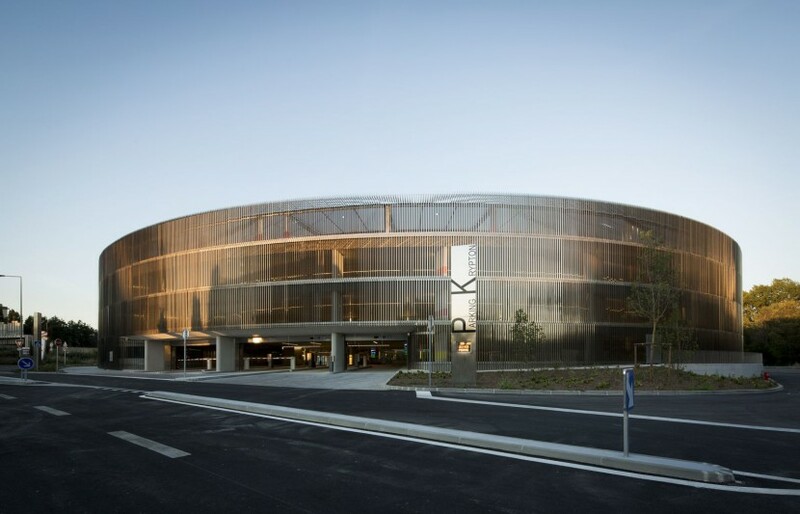 An actual and modern construction that must inspire future architectural creations.